On Saturday the Viareggio Carnival celebrated their 147th year. It’s one of the most known events in Italy. To celebrate they created a giant God Emperor Statue of President Trump that was even equipped with a Twitter sword. Every year this celebration attracts more than 600,000 people. This year one of the highlights of their celebration was the multi-story paper-mache God Emperor Trump complete with giant Twitter sword. 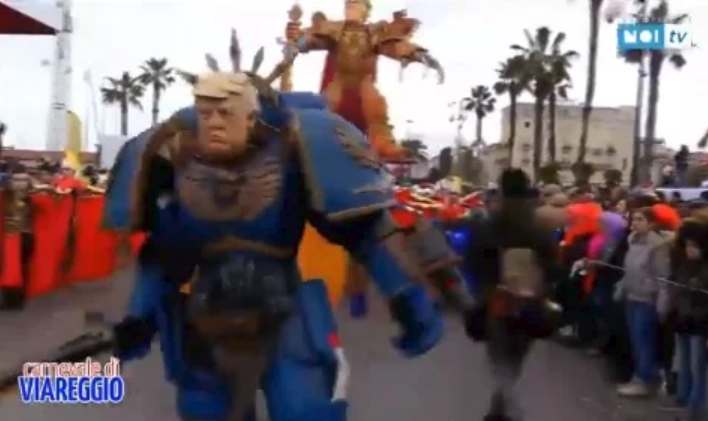 In front there is a smaller Warrior Trump statue leading the way. While the left likes to pretend the world is laughing at us, moments like this prove they admire President Trump.